4 Bedroom Semi Detached House For Sale in Leicester for Offers Over £250,000. Offering unique, generous living space, spread over three floors this property appeals to a range of buyers including families and investors. The ground floor comprises of a lounge, modern kitchen diner and a WC. The first floor offers a superior master bedroom / suite with en suite and fitted wardrobes, two further double bedrooms and a well presented family bathroom. The second floor offers a further double bedroom with fitted wardrobes and en suite. The property would benefit from a ground floor extension to the rear to increase the day to day living space significantly (scope to extend is subject to relevant planning permission being obtained). 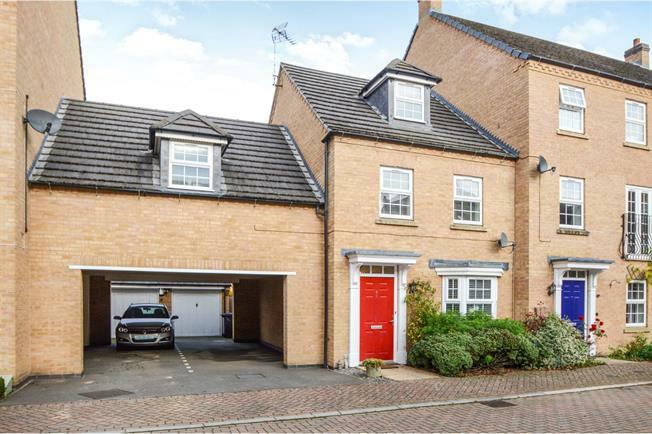 Other main features include single garage, driveway & allocated parking for four cars, gas central heating and double glazed windows and doors throughout. Buyers are respectfully requested to consider the current living space will work with their living requirements before extending their viewing interest. Viewing is advised and is by appointment only.